Frito-Lay 2 Go and the ASTC are encouraging kids to actively explore the world of STEM (science, technology, engineering, and mathematics) and what better way than immersing them in the hands on environment of a science center. Last summer, the kids and I visited two such centers. The first was the Great Lakes Science Center in Cleveland, Ohio, and the second was here in Indiana – the interactive adventure of Connor Prairie. Between the two visits, my kids played with (learned about) sound, space, water flow, air flow, vibration, and even rode in a hot air balloon! I’m a big believer that fun and learning can collide to provide a unique and memorable experience, and museums/science learning centers are great places to facilitate such moments. 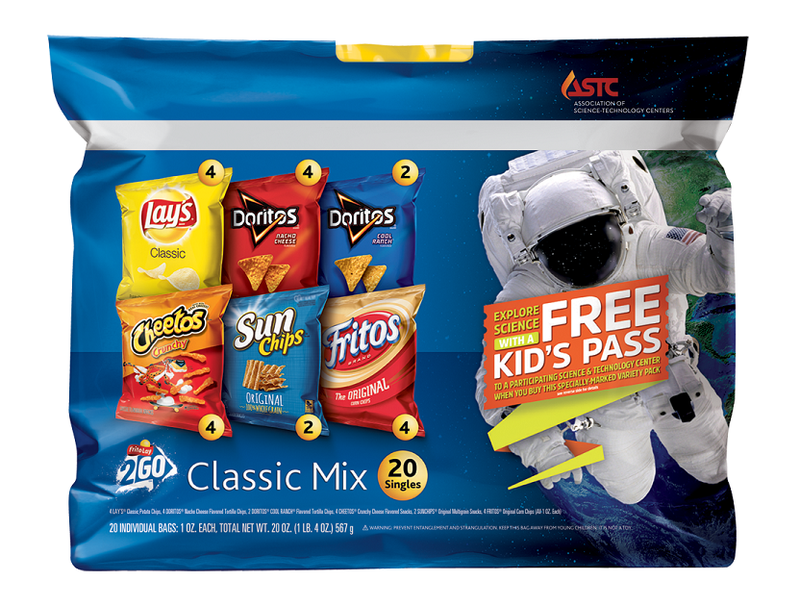 The passes can be found on specially marked packages of Frito-Lay 2 Go at retailers nationwide through June 5th. Go explore! Though I was not compensated for this post, I did receive product for review and to facilitate the composition of this post. My thoughts, words, and chips are all my own.